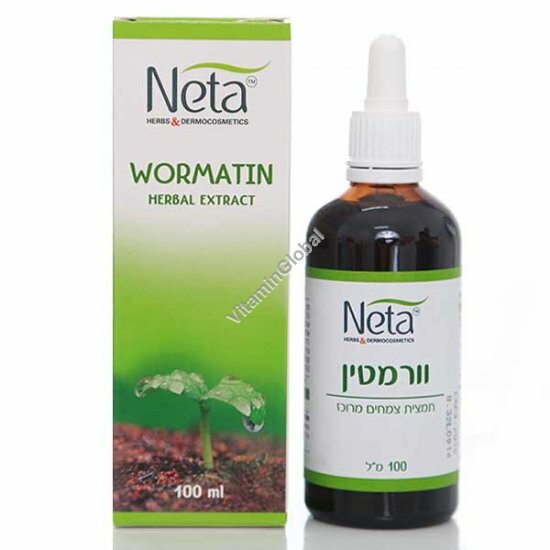 Wormatin is a herbal formula that aids with the removal of worms and intestinal parasites in adults and children. Wormatin can also be used as a preventative. Wormatin now has a new and improved flavor. Worms (helminths) and other parasites should be suspected when there are any of the following symptoms, especially in tandem: loss of appetite and weight, diarrhea, bloody or mucous stool, bloating, abdominal pain, anemia, fatigue, rectal itching, itchy feet, or rashes. Directions: Add one drop of Wormatin for every 2 kilos of body weight to ¼ cup of water and drink before meals (see chart below). This should be done 2-3 times a day for up to 4 weeks. If symptoms persist or worsen at any point, see a doctor. As a preventative: Take just once a day at bedtime, for the desired period of prevention. Note: In general, sugar and sugary foods should be avoided when treating worms or parasites. Women who are pregnant or breastfeeding, people taking prescription medications, and parents considering this product for their children should first consult a physician.